Ramona Singer is um… really letting her inner Bethenny Frankel come out! Following last night’s episode of Real Housewives Of New York, Ramona went nuclear on Twitter by lashing out at both Dorinda Medley and Luann de Lesseps. First of all, Ramona does not like being disinvited from a party, nor does she like being thrown out of a party. Oh Ramona – there really is no defending your actions. Not the way you behaved at Dorinda and John’s party – the one you weren’t invited to, but certainly made sure to get thrown out of. Nor the way you savaged your supposed friend Sonja Morgan. Nor the vulgar comments you made about Luann in order to make her look bad, and the desperate way you glommed onto creepster Rey in the hopes of unearthing more salacious gossip. Dorinda said Ramona needs a hobby and a life. So Ramona got active – on Twitter. Luann de Lesseps’ Fiance Throws Her A Surprise Birthday Party! Luann de Lesseps is crazy, happy in love after a whirlwind romance to Tom d’Agostino Jr. and the Countess is about to shed her title for a New Year’s Wedding complete with 3 dresses (and how many Bravo cameras, again?!). Luann is over the moon about her second chance at love, and Tom seems equally smitten at his second chance with a Real Housewives Of New York star. As you know, he once had a fling with Ramona Singer, but that doesn’t seem to bother the couple. As we know, Luann always likes to best Ramona, so there she went and snagged the big diamond and the Bravo fairytale (who am I kidding – I SO cannot wait to watch this! I SO cannot wait to see Luann’s wedding fashion!). The women on Real Housewives of New York like to keep everything within their clique and this includes their men. I would love it if someone made a meme with a web of all the ladies and the dudes they have married and dated. If that ever happens, there will be a lot of overlap. Ramona Singer knows this firsthand since she just talked about how she dated Luann de Lesseps’s fiance Thomas D’Agostino Jr before he got with the Countess. This is pretty shocking since Ramona has been pretty critical of Luann’s dating life so I can’t believe that they dated the same person. But anyway, I don’t know what “dating” means anymore. It’s such a vague term. Were they boyfriend and girlfriend? Did they go out on one date? Did they just hook up after some wild nights at Beautique? It’s abundantly unclear. Thankfully, Ramona clarified. Well, at least she did a little bit. 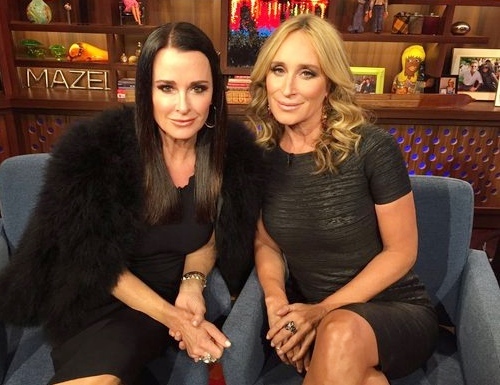 The Real Housewives of Beverly Hills star Kyle Richards and The Real Housewives of New York star Sonja Morgan are guests on WWHL tonight. Bethenny Frankel, Dorinda Medley, & Ramona Singer React To Luann de Lesseps’ Engagement! 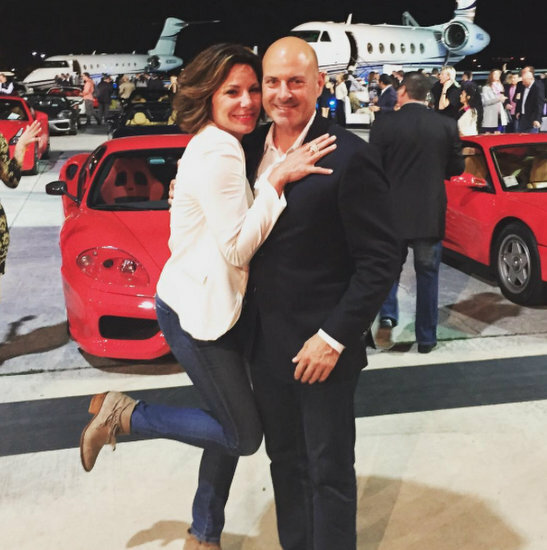 Over the weekend Luann de Lesseps got engaged to Thomas D’Agostino Jr. with an 8 carat canary diamond ring. The Real Housewives of New York star met Thomas through their mutual friend Dorinda Medley, and after a whirlwind romance they fell madly in love. Luann de Lesseps Engaged! Will She Lose Her Countess Title? If you see Luann de Lesseps this week and she’s struggling to lift her hand, cut her some slack. The Real Housewives of New York star is now toting around 8 carats of sparkly bling on a certain finger! After a whirlwind romance, Countess Luann de Lesseps is engaged to Thomas D’Agostino Jr! Thomas proposed this weekend and Luann happily accepted. 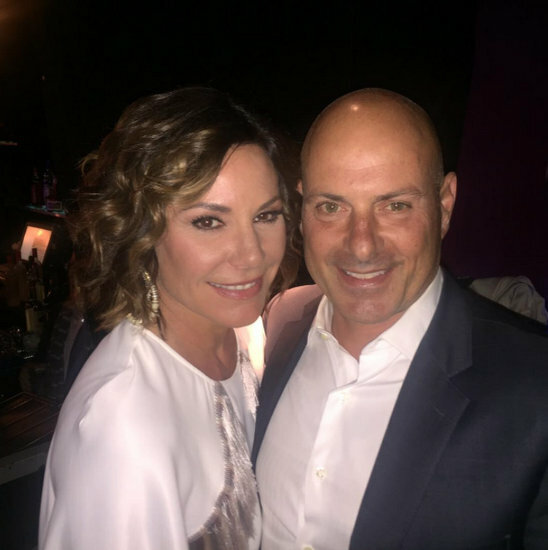 Is LuAnn de Lesseps Getting Married Again?! Is there another wedding by Bravo in our future? 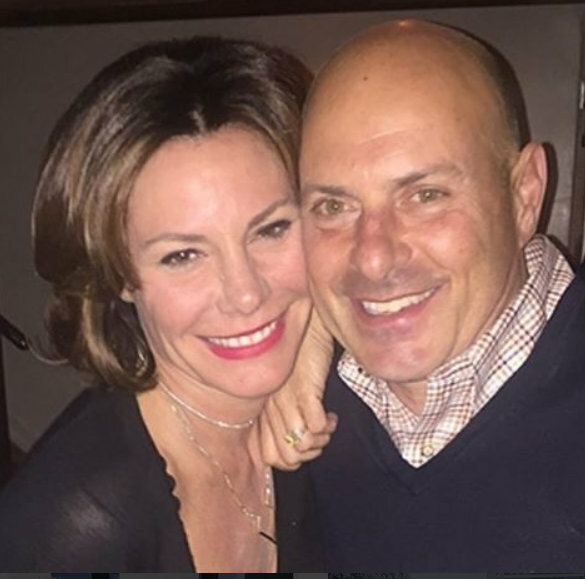 Luann de Lesseps has only been dating boyfriend Thomas D’Agostino Jr for a few months, but the Real Housewives Of New York star is madly in love!